Physical activity and healthy food are essentials for a healthy body. But have you ever wondered which exercise is the best for your child’s brain? Just like a healthy physical form, training kids mind is very important. Before the advent of smartphones and ipads, parents used to involve kids in various creative activities to enhance their motor and mental skills. Now-a-days hundreds of activities and brain game apps are available on your phones as apps. There are studies that show playing puzzle games, word games, art games and more help to increase mental agility in children and even adults. Sharpen your child’s brain with technology. We have picked 5 best educational fun apps for kids from the vast sea of apps. The Kids Brain Trainer app for preschoolers introduces a set of brain training exercises for kids. Your child will soar brilliantly in this brain training app. The app consists of matching objects to shadows, finding odd man out, memory game, etc. The app is designed to develop your child’s cognitive and motor skills. The colorful and fun-packed puzzles are loved by little preschoolers. Flow free is an interesting puzzle game app for children. The game starts with simple levels and then gets more and more challenging as you go further. The puzzle involves solving of spatial arrangements using few numbers of moves. This is a super addictive game for both children and adults. The game has more than 1000 free levels to play! Let your child learn and play together. This is the best word games found on play store. It is quiet engaging and exiting for kids. This game aims to find all hidden words that help you to improve your vocabulary, spellings, and concentration skills. The brain teaser gave can keep your child hooked with spellings for quite some time. Discover words with this awesome brain power app. All learning and no fun makes your child boring and less creative. Let your kids indulge in some fun art activities after school. 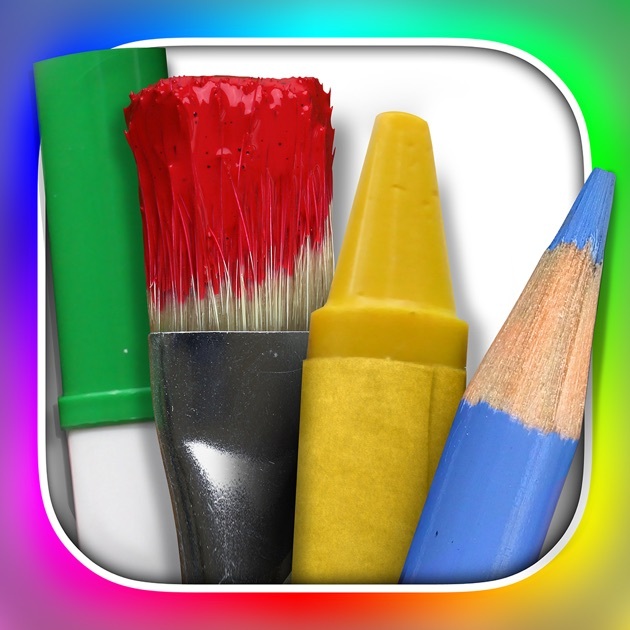 Engage them in drawing and painting activities. If they tend to get hooked up on the phone ask them to play on the drawing pad app. Art is important repaint you growing brain with many skills and focusing abilities. Learning math with fun is an ideal way. Math evolve is a brain game that helps you learn math while playing a spaceship game. Its educating game filled with lots of challenges. Practice math in an arcade-style game and enjoy. The game improves childs mathematical skills without getting bored. It’s fun to play these brain developing apps with your children. Parents and children both have given their enthusiastic seal of approval for these amazing fun apps of 2017. Which is your favorite brain game app? Thanks for sharing this excellent blog about best brain game. Keep blogging! Glad you liked the article. WHich is your favorite Brain Game apps?